The “Dark Web” is a part of the World Wide Web that requires special software to access. Once inside, web sites and other services can be accessed. Identity thieves use the Dark Web to buy and sell personal information. If your email address is there, criminals can potentially gain access to accounts associated with it. Scanning your email is a great first step to better protect your identity because it gives you the knowledge you need to act. 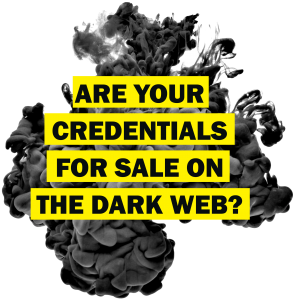 To help keep your critical business assets safe from the compromises that lead to breach and theft, we are offering a complimentary, one-time scan with Dark Web ID™ Credential Monitoring to see what might already been for sale on the Dark Web. Companies that have had their credentials compromised and sold on the Dark Web don’t know it until they have been informed by law enforcement — but by then, it’s too late. According to National Institute of Standards and Technology (NIST), small and medium-sized businesses may have more to lose than larger organizations, because cybersecurity events can be costly and threaten their survival. 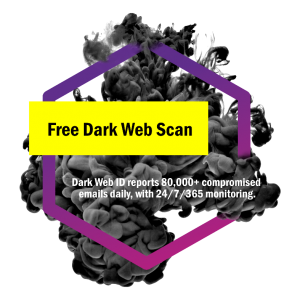 GeeksHD Dark Web Monitoring provides a comprehensive set of threat intelligence and identity monitoring solutions to private and public sector organizations and to millions of individuals impacted by cyber incidents. The company’s flagship product, GeeksHD Dark Web Monitoring, combines human and sophisticated Dark Web intelligence with capabilities to identify, analyze and monitor for compromised or stolen employee and customer data, mitigating exposure to clients’ most valuable assets – their digital identity. From monitoring your organization’s domain for compromised credentials to deploying identity and credit management programs in order to protect the employees and customers you serve –GeeksHD Dark Web Monitoring has the solution. How Does GeeksHD Dark Web Monitoring Help Protect My Organization? GeeksHD’s service is designed to help both public and private sector organizations detect and mitigate cyber threats that leverage stolen email addresses and passwords. GeeksHD Dark Web Monitoring leverages a combination of human and artificial intelligence that scours botnets, criminal chat rooms, blogs, Websites and bulletin boards, Peer to Peer networks, forums, private networks, and other black-market sites 24/7, 365 days a year to identify stolen credentials and other personally identifiable information (PII). GeeksHD Dark Web Monitoring focuses on cyber threats that are specific to our clients’ environments. We monitor the Dark Web and the criminal hacker underground for exposure of our clients’ credentials to malicious individuals. We accomplish this by looking specifically for our clients’ top-level email domains. When a credential is identified, we harvest it. While we harvest data from typical hacker sites like Pastebin, a lot of our data originates from sites that require credibility or a membership within the hacker community to enter. To that end, we monitor over 500 distinct Internet relay chatroom (IRC) channels, 600,000 private Websites, 600 twitter feeds, and execute 10,000 refined queries daily. If My Credentials Are Found On The Dark Web, Does That Mean We Are Being Targeted By Hackers? Some Of The Data Is Old Or For Employees No Longer Working For Us. Does That Mean We're Not At Risk? How Does GeeksHD Dark Web Monitoring Protect My Business? Why Is All Of The Important?